Two weeks ago today, I went salmon fishing off the coast of Alaska (after cooking at the Sitka Seafood Festival). I caught one, too — a silver, also known as coho. We actually have them off our coast too, in Lake Michigan. 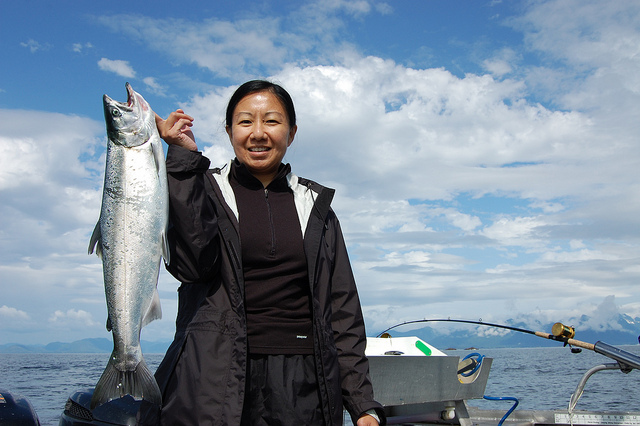 You can fish for not only coho, but the King of salmon too, the Chinook. And yes, they&apos;re edible. The dish you see above is the first fresh King salmon I ever cooked and tasted in Alaska, for a staff meal, caught by friends — very good friends. At the fish-cleaning tables up at Waukegan Harbor, where a lot of the charter boats operate, they have signs warning you against eating the skin, bellies and dorsal fins of the fish you might catch. But when I spoke with Dr. Marc Gaden, the Great Lakes Fishery Commission&apos;s Communications Director and Legislative Liaison, about the lamprey pie story, he said those guidelines are confusing; each state declares their own — sometimes contradictory — regulations for the same body of water, and it all really depends on how much fish you&apos;re eating. The Illinois Department of Public Health recently announced this year&apos;s fish advisory, but again, you may want to take it with a grain of salt. And speaking of salt, I happened to go out fishing in Alaska with my good food friend Jim Michener captaining the boat. Jim makes Alaska Pure Sea Salt. 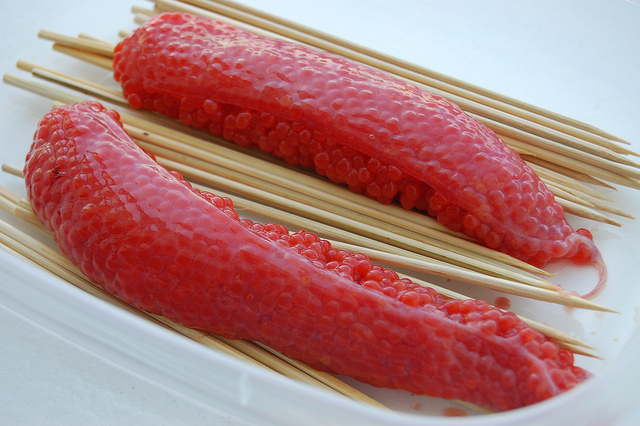 We discovered that my fish was a hen carrying roe, but they were a bit immature, meaning they were not quite ready to make salmon caviar, also known by their Japanese name, ikura. But we saved the two skeins (whole roe pouches) and Jim gave me salt that was too fine for the big, beautiful flakes he seeks, but perfect for a salmon bottarga experiment. 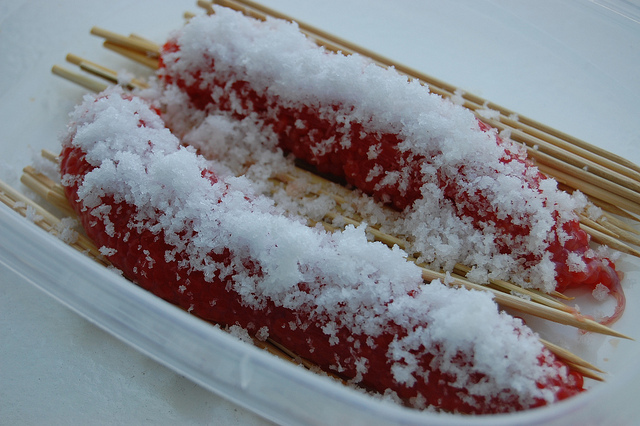 Bottarga is a Mediterranean salt-dried fish roe. When it&apos;s ready, it&apos;s so hard that it&apos;s grated or thinly sliced, eaten over pasta or bread, adding a heady, intense essence of the sea. 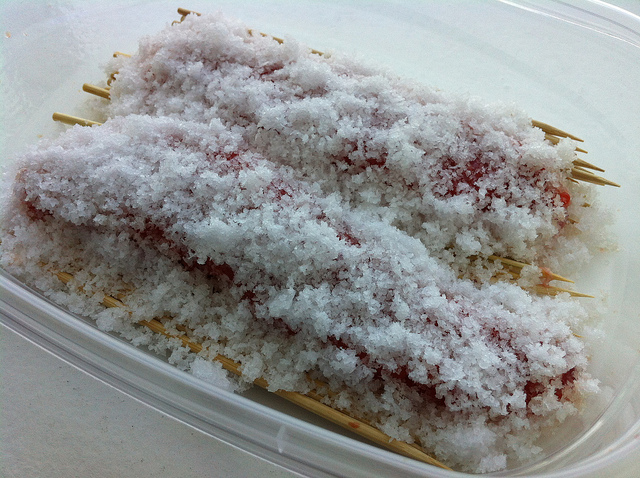 But bottarga is traditionally made with tuna or mullet roe. Hank Shaw, another food friend, uses shad roe, and even advises against salmon roe in his recipe, because he says you want small eggs. These eggs were pretty small, so we&apos;ll see. So far, after two weeks of drying, travelling with me across Alaska and back to Chicago (in Rubbermaid TakeAlongs) the salmon bottarga is firm, but I don&apos;t think quite ready yet. 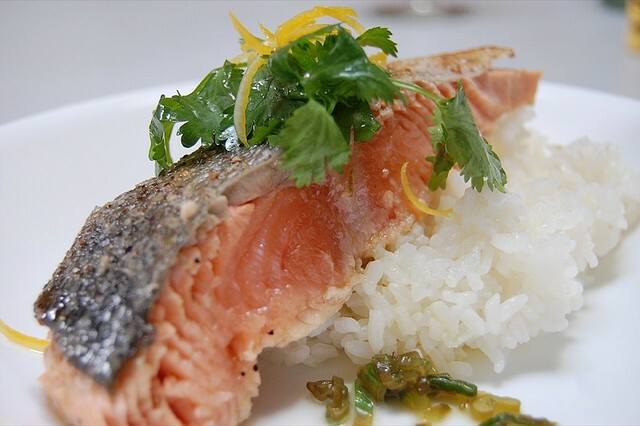 With the recent report that we waste an overwhelming 40 percent of our food, with seafood wasted the most at home, you can be sure every edible bit of the fish I caught will be eaten and savored.